Students and staff from Middlesex University have been working hard to enrich the lives of Barnet residents with a number of recent community projects across the borough. 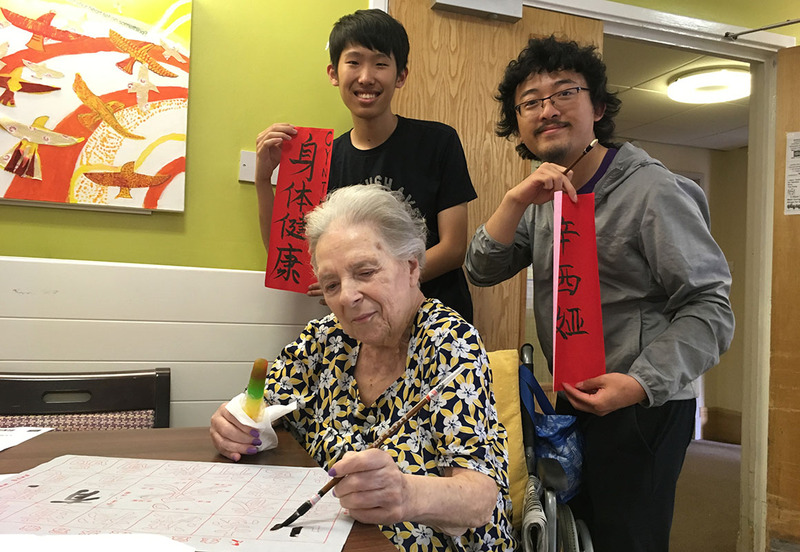 A group of students from China who are currently visiting Middlesex from City University of Hong Kong visited Jewish care homes, a community centre and a primary school on 22 June to lead activities such as painting and singing. Helen Midhage, Middlesex University London’s coordinator of the visits says it was a great success. The students prepared Chinese and English ‘golden oldies’ to sing, led activities such as painting Chinese calligraphy and served tea and cakes. The students also spent an afternoon at a local primary school entertaining the pupils with Chinese games, arts and crafts. A second group of around 40 Chinese students will also be visiting the care homes on 27 July. 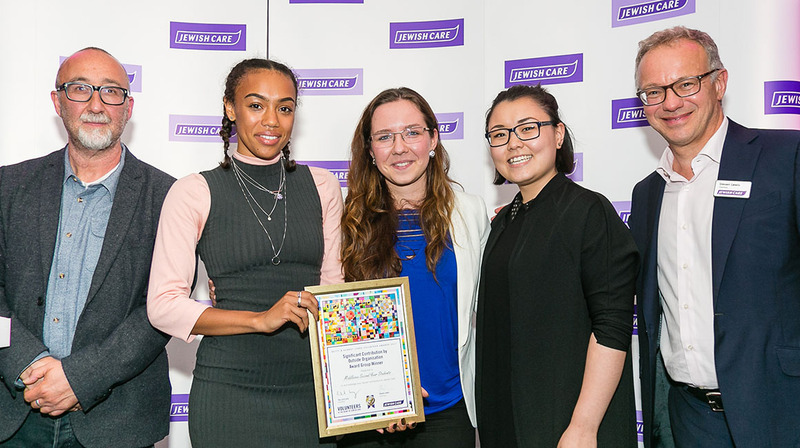 As part of another new initiative a group of second year TV production students from Middlesex were presented with the Outside Organisation Group Award at the Jewish Care Awards on 28 June. The six students volunteered at Jewish Care to create a film about the importance of leaving gifts in wills. Television production student April Ha found the project very rewarding. “My team and I didn’t have a great knowledge of Jewish culture and we are from different countries including the UK, USA, Romania and Russia,” she says. Tom McGorrian, Senior Lecturer in TV Production at Middlesex University London says the award is well-deserved. “Over the course of several months the students developed a strong rapport with Jewish Care and this is clearly evident in the video,” he says. Even closer to home, Middlesex’s Sports and Recreation department is giving people supported by learning disability charity Norwood access to free training in the Fitness Pod on campus. As part of the recent refurbishment of the University’s gym, all the machines are now disability-friendly and Norwood participants are benefiting from free tailored exercise programmes. Some of the adults with learning disabilities or autism from Norwood have used the gym to train for local, national and international sporting challenges - including the recent Maccabi Fun Run in Hendon. Danielle Norville, Middlesex University’s Sport Activator, is pleased with the positive feedback from Norwood participants. “The participants have stated they have improved day-to-day mobility, stability, and mental wellbeing by reducing their anxieties through their interaction in the gym,” she says.